The First Presbyterian Church of Mishawaka is a welcoming congregation engaged in the dynamic worship of God and outreach for Jesus Christ. The church encourages continuing Christian education and spiritual growth for all. The congregation serves the church, the community and the world through strong mission leadership. For more than 200 years, Presbyterians have been responding to the call of Jesus Christ, taking the gospel into all the world and bearing witness to Christ's saving love to the ends of the earth. Today, the Holy Spirit is still on the move, calling us to share in what God is doing in the world. Here at First Presbyterian Church Mishawaka we support several local missions along with the four annual special offerings through General Assembly. Sheltering Lord, help us to reach out with the gifts you have given us to extend shelter to the homeless, to walk with those whose journey is rough, and to reflect your grace in times of adversity. Amen. We have a partnership with Battell Elementary School. 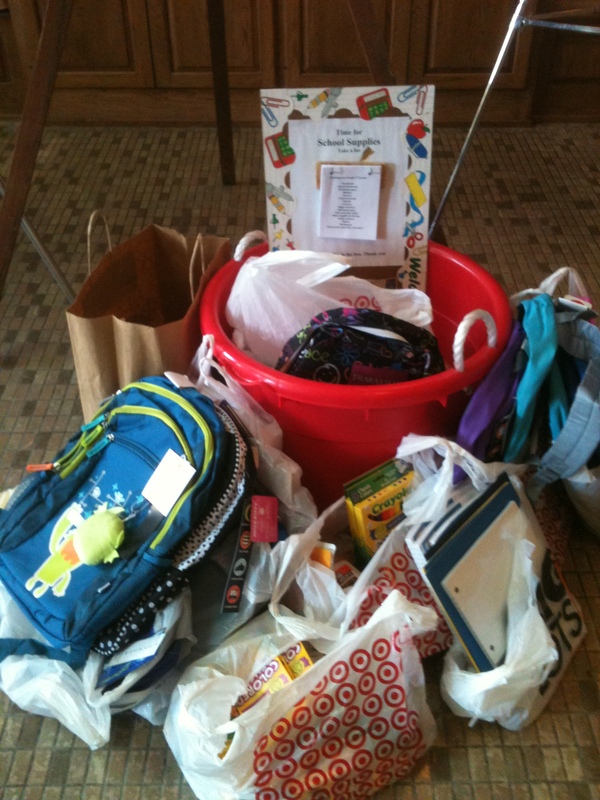 We provided tutors, mentors, backpacks, school supplies, socks, hats and mittens along with other needs that may arise. We sponsor a field trip for the 2nd grade class. At Thanksgiving, we provide complete Thanksgiving Dinner kits to several families. 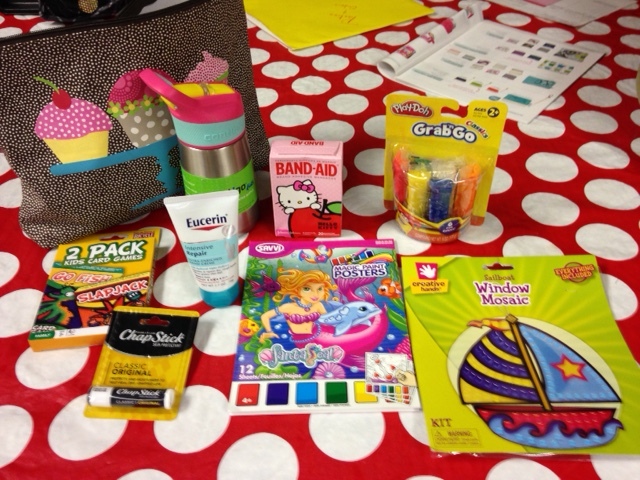 FPC Mishawaka is one of 17 Mishawaka churches involved in MAC (Mishawaka Alliance of Care). We support several of their programs including the MAC Food Pantry, housed at Albright United Methodist Church. The number of households served fluctuates; however, the average during the past year has been 352 per month. The Pantry continues to serve the community on Tuesday evenings from 6:00 pm until 8:00 pm and Fridays from 10:00 am. until noon. The items placed in the grocery cart in the CE lobby (delivered each Monday) along with money donations and those volunteers who help the shoppers are just another of the caring ministries of FPC in an attempt to follow the teaching of Jesus, "Feed the hungry and give drink to the thirsty". Soup-R-Bowl -special food donation taken in February focusing on canned goods and ingredients to make soup. 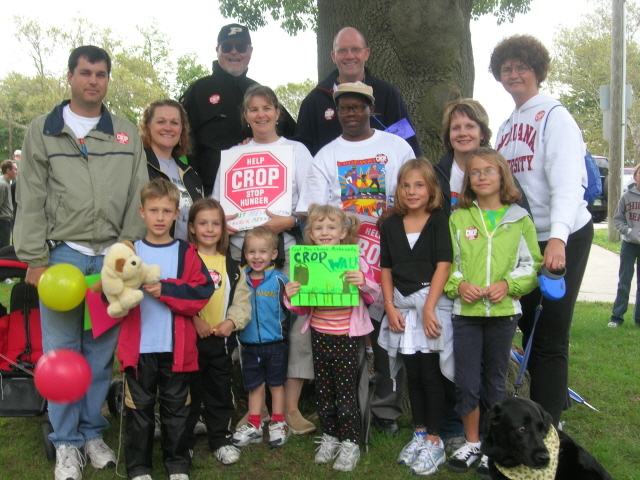 Crop Walk- Annual walk in October to raise money to fight hunger. Our church has both walkers and sponsors for this event. Sock collection - During Winter we collect socks and donate to Broadway Christian Parish, who ministers to a diverse group of people who are underserved in our community. The four churchwide Special Offerings of the Presbyterian Church (U.S.A.) play an important role in defining what it means to be a connectional church in the twenty-first century, bringing together the diversity of the PC(USA) to focus and take faith-based action on shared concerns. The Offerings offer opportunities for partnership, learning, and witness and profoundly affect the life of the church as a collective witness to Jesus Christ's love for the whole church. Here in Mishawaka we have generously supported these offerings. This offering is given at Easter to fund projects for for Presbyterian Disaster Assistance, the Presbyterian Hunger Program, and the Development of Peoples. Receivedduring the Season of Peace through World Communion Sunday, this offering will reach worldwide, to improve living conditions for struggling people 25% is retained for local community. Given during the Christmas season, this offering supports supplementary pensions for retired pastors and mission workers, as well as Presbyterian-related racial and ethnic schools and colleges. *Mentor a student - this is a weekly commitment. 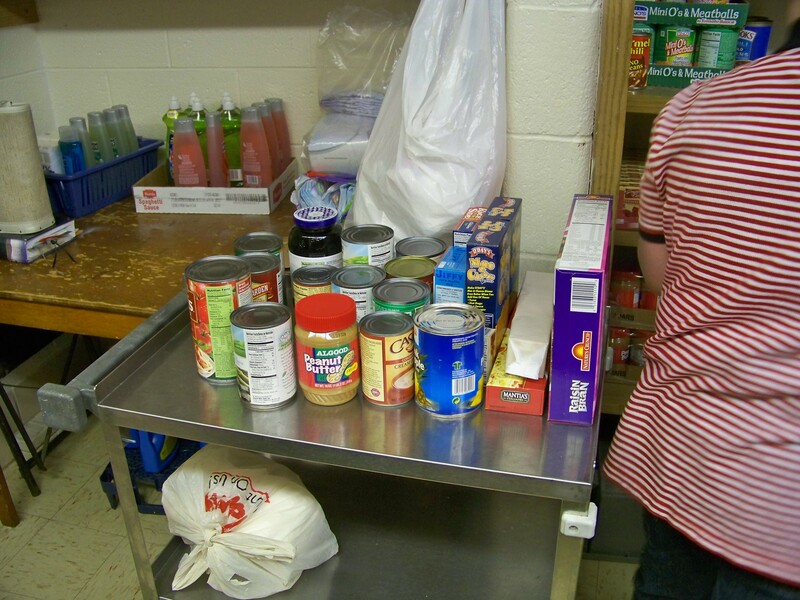 Albright Food Pantry- click to find out how you can help. Donation Suggestions incude: Dry Foods (pasta, dry cereal, instant potatoes, box meals such as Hamburger Helper, and canned goods such as fruits, vegetables, peanut butter, stews and soups); all Personal care items (toothpaste, toothbrushes, soap, and shampoo); Paper goods (toilet paper, paper towels, and kleenex); Baby items (diapers of all sizes). New, gently used men and women socks needed. More Mission opportunites available through Deacons and Presbyterian Women groups.